Create that summer feeling with flower-shaped LED candles. 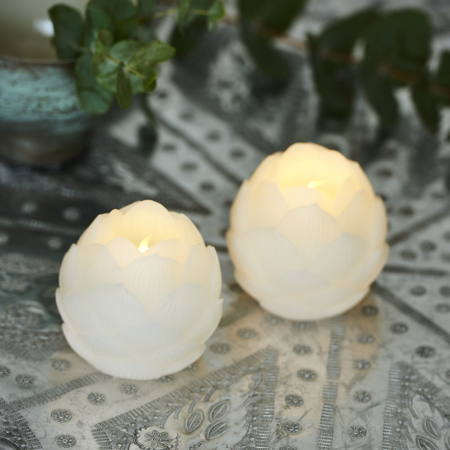 Beautiful giftbox with 2 Helene LED Lotus flower Candles. Dimensions: Ø 7 x H 6,7cm. Batteries: 2 x 1 x CR2032 (included). Built-in timer function: the led lights will turn off automaticly after 6 hours, (if you don’t turn them off your self). After 18 hours, the candles will turn on again, and so it continues, if you do not use “off” button.